Six California research institutions, ranging from the University of Southern California to the University of California at Santa Barbara, today announced a "collaboration" aimed at enhancing their stem cell research efforts. "Tackling these complex problems requires scientists with diverse expertise. We are delighted to have an opportunity to work with such an outstanding collection of scientists to really accelerate the pace of discovery and translational research in regenerative medicine." In addition to USC and UC Santa Barbara, the other institutions are Childrens Hospital Los Angeles, City of Hope, the California Institute of Technology and the House Ear Institute. The coalition is officially known as SC3 – the Southern California Stem Cell Scientific Collaboration. "The new agreement is a major step forward in supporting potential significant stem cell findings by allowing members to share training programs, scientific core facilities and expertise while teaming up on a wide range of research programs." 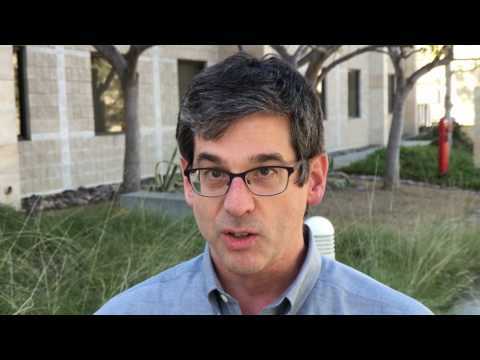 Dennis Clegg, director of the stem program at UC Santa Barbara, said, "The SC3 collaboration is already engendering new ideas for collaborative projects between scientists at the participating institutions." "We have dedicated one floor in our proposed facility (Edythe and Eli Broad Center for Regenerative Medicine and Stem Cell Research) to supporting the work of SC3-through training, access to core laboratories with specialized equipment and expertise, and through providing space for collaborative and pilot projects. " Southern California already has another type of collective effort underway regarding stem cell research – the San Diego consortium involving UC San Diego, Scripps, Burnham and Salk. However, it appears to be more formally structured and is believed to be seeking a large lab construction grant from CIRM. A spate of articles has surfaced in the last couple of days concerning the $3 billion California stem cell agency, conflicts of interest and a new state audit of three-year-old effort. "Why is California's quasi-public stem cell research institute mired in questions over expenditures and backdoor lobbying? Part of the blame falls to the state's lawmakers and constitutional officers, who have failed to conduct proper oversight of this $3 billion agency." "The shortcomings at CIRM run deeper than a handful of individuals. Proposition 71 not only vested governance of $3 billion in public money in those who seek to maximize their own share, but it is riddled with exceptions to the norms of public oversight, accountability and transparency. In this context, last week's development is an unfortunate but predictable result." his organization's blog, the Biopolitical Times. "Before and after the meeting (John M.) Simpson (of the Foundation for Taxpayer and Consumer Rights) and (California stem cell Chairman Robert) Klein could be seen talking spiritedly to each other, but they did not seem hostile. In conversations I overheard, one committee member told Simpson that CIRM members shouldn’t be expected to have the savvy of public officials. Klein told Simpson that lives could be lost if research was prevented, and Simpson said repeatedly that those entrusted with public funds need to be held accountable with public scrutiny." Wired.com – A piece by this writer on Chiang's audit order and call for a separate investigation into the attempt by CIRM Director John Reed to influence a grant to his organization, the Burnham Institute. San Diego Union-Tribune -- Terri Somers reported on Nov. 28 on the Chiang audit and said that Reed and Klein both say they will not resign. San Jose Mercury News -- Steve Johnson wrote on Nov. 27 that Klein said he welcomed the audit. "As if stem cell work wasn't challenging enough, California is making harder. The voter-backed Institute for Regenerative Medicine has encountered its own ethical trouble. A board member lobbied the stem cell research body to overturn a rejected research proposal from a colleague. It was an intolerable violation of ethical guidelines. Stem cell work both here and nationally must adhere to the highest standards." "The science climate has changed since the passage of Proposition 71 and its structural problems continue. In light of the new science breakthroughs and the continuing questionable decision making, perhaps it's time not to borrow billions of dollars for human cloning research in a state once again drowning in red ink." "Klein and californiastemcellreport are fast becoming anachronisms." California State Controller John Chiang today ordered an audit of the $3 billion California stem cell agency, including its conflict of interest policy and compliance with state law. Chiang made the announcement at the meeting of the Citizens Financial Accountability Oversight Committee, which is charged with reviewing the performance and finances of CIRM. Chiang, who is one of the state's top financial officials, is chairman of the committee. Chiang also announced that he has sent a request to the state Fair Political Practices Commission that it investigate the attempt by John Reed, a member of the CIRM Oversight Committee, to influence a $638,000 grant to his research enterprise, the Burnham Institute. Reed has since admitted his action was a violation of the agency's conflict of interest policy. "Whether they are perceived or real blemishes, we must resolve any conflict of interest questions quickly so we can protect the important and powerful work that is taking place in stem cell research." "Considering the institute has already made grants to 23 research agencies and the treasurer has sold $250 million in bonds for additional research, it is imperative that the research financing move forward in an ethical and transparent manner. Immediate action is necessary to guarantee the institute is effectively overseeing grants, and that grant recipients are using state funds appropriately and in a manner consistent with the stem cell initiative." Chiang said that the audit will include how grants are allocated, whether the institute provides adequate oversight once the grants are awarded and what performance milestones are in place. At today's meeting, John M. Simpson, stem cell project director for the Foundation for Taxpayer and Consumer Rights, renewed his call for the resignation of Reed and Robert Klein, chairman of CIRM. Klein, an attorney, advised Reed to engage in his lobbying effort. "As already demonstrated by Reed and Klein’s actions, the only way the public can have faith in the process that will dole out millions of taxpayer dollars is for there to be complete transparency, Apparently the stem cell agency is afraid that a university or research institution might be embarrassed if their application does poorly. What the overseers need to understand is that they are not running a private club. They are supposed to be stewards of public money. They need to act that way. When they don’t, there must be consequences." The California physician who criticized Korean stem cell scientist Kwang Yul Cha has won a round in Cha's libel suit suit against him. Earlier this month, a Los Angeles judge threw out the suit against Bruce Flamm of Riverside, Ca., but Cha has about 60 days to file an appeal, which a spokesman says he is considering. Cha surfaced in connection with the California stem cell agency when a nonprofit subsidiary of his organization won a research grant from CIRM. After the grant was approved, the media reported its links to Cha along with news about the controversy surrounding some of Cha's research. In October, Cha's group withdrew its application for the CIRM grant. In the case of Flamm, he published a critical opinion piece concerning Cha's 2001 study that linked prayer to in vitro fertilization success. Cha says Flamm is engaged in a personal vendetta. "This is a great victory for science, peer review and academic freedom." The California Stem Cell Report has sent the following letter to the Citizens Financial Accountability Oversight Committee, which is meeting today in San Francisco concerning the affairs of the state's $3 billion stem cell agency. The time has come for the California Institute for Regenerative Medicine to open its doors to more public disclosure in the interest of greater public accountability and to avoid further damage to its reputation. Such a move would enhance its performance as a credible advocate for sound scientific research and help to prevent future scandals involving its $3 billion program. I am asking your panel to make such a recommendation to CIRM. Within the last week, Californians have seen stories in the media concerning an attempt by a CIRM director to privately influence the award of a $638,000 grant to his institution. That attempt was made at the suggestion of the chairman of the CIRM Oversight Committee, Robert Klein, who is also an attorney. His advice was in clear violation of CIRM's conflict of interest policy, a fact that he now acknowledges. Disclosure of the lobbying effort, first reported by the California Stem Cell Report, has generated calls for the resignation of Klein and the director, John Reed of the Burnham Institute. One organization, the Foundation for Taxpayer and Consumer Rights, has filed a complaint with the Fair Political Practices Commission. Klein's and Reed's actions are part of a larger issue at CIRM: the conflicts of interests that are built into its structure by Prop. 71 and which the California state auditor has touched on. For example, currently a majority of its directors (Oversight Committee members) are linked to institutions that could benefit from the $227 million in lab construction grants scheduled to be given out next year. And the Oversight Committee is the group that approved the criteria for the lab grants. CIRM has refused to disclose the names of the institutions that have applied for the grants until well after they undergo the most important stages of their review, a move that makes it impossible for the public to comment properly. It is also a case of unnecessary secrecy that only fosters suspicion and the worst sort of speculation, particularly in light of Klein's and Reed's actions. CIRM's justification for this secrecy is weak. It does not want to embarrass any unsuccessful applicants, all of which are major public and private nonprofit institutions. It is a policy that seems to have been adopted, without due consideration, from a similar policy regarding applications from individual researchers. However, applications for the major lab grants are much different than those from the men and women who direct stem cell research labs. The applications for lab construction funds come from huge institutions such as the University of California and other major educational and research enterprises. Their names and applications should be part of the public record. Equating the sensitivities of UC Berkeley or other likely institutional applicants for lab grants to the sensitivities of an individual researcher would seem to defy common sense. And if proprietary information exists in the application, it can easily be excised before release. In keeping with the sense of the state auditor's report, CIRM should also make public the economic disclosure statements of the persons who review the grants. Public disclosure of those documents will assure both scientists, whose applications are being reviewed, and the public, whose money is being spent, of the essential fairness of the process. CIRM has resisted such disclosures. It says it is already more open than the National Institutes of Health. But CIRM and the NIH are not comparable. The president and Congress can and do intervene in NIH matters and set its budget. In California, the governor and legislature are barred, for all practical purposes, from exercising such oversight because of the provisions of Prop. 71. Even the tiniest alterations in CIRM require an unprecedented, super, super majority vote of the Legislature and signature of the governor. Its funding is continuously appropriated and not subject to the normal budget process. All that means that CIRM has a special responsibility to demonstrate accountability and show the public that is performing with their best interests in mind. I urge you to recommend to CIRM that it identify forthwith the applicants for its upcoming round of lab construction grants and to release the statements of economic interests from its panels of grant reviewers. The role of Robert Klein, chairman of the California stem cell agency, in the Burnham grant affair largely escaped significant public scrutiny until Sunday's editorial in The Sacramento Bee. One does not want to minimize the responsibility of John Reed, a notable scientist and accomplished executive, who privately lobbied the staff of CIRM to give a $638,000 grant to his organization(the Burnham Institute) while sitting on the board of directors of CIRM. But all of that came at the advice of the chairman of the agency, Robert Klein. In the eyes of many, Klein is the virtual public embodiment of the stem cell agency, a role he relishes. He claims authorship of Prop. 71. He led the $30 million campaign for its passage, working the media and speaking on television shows in California and nationally. He is so knowledgeable that he can and does quote legal code citations from Prop. 71 in public meetings. Fortune magazine once called him a "super salesman" for human embryonic stem cell research. John M. Simpson, of the Foundation for Taxpayer and Consumer Rights and longtime CIRM observer, says that Klein "brought great entrepreneurial spirit and energy and deserves great credit for getting Prop 71 passed and the agency launched." All of which makes the impact of his advice to Reed even greater. The fallout is likely to ripple throughout the scientific community, the legislature and the media. And not much of the fallout is good. Obviously their actions are a great embarrassment to both men, at the very least. But the impact on the California Institute for Regenerative Medicine will be considerable and long-lasting. Klein has played into the hands of the foes of human embryonic stem cell research, who love to conjure up demons who fiddle with funding and abuse the public trust. They now can simply point to Klein and Reed as proof. Putting the foes aside, the men's actions also raise qualms about the stewardship of $3 billion in public funds among those who are on the fence on the issue of stem cell research, as well as among some of its fervent supporters. So far, CIRM has beaten off attempts by California lawmakers to intervene in the agency's affairs. Now legislators have a fresh and serious justification to probe into the agency's $29,000-an-hour research funding effort. Some may say a little friendly oversight from Sacramento is healthy but that is not the official view of CIRM's Oversight Committee. Internally, Klein's action nurtures any latent suspicions among Oversight Committee members that a rival institution represented on the board might be favored privately in some fashion. That is a development that signals a weakened leadership position for Klein himself. Klein's advice concerning the Burnham grant is not the first time he has demonstrated an insensitivity to issues that others perceive as important ethically or simply as a matter of propriety. He has taken the unusual step, for a state official, of operating his own private lobbying group on stem cell research. Earlier this year, that group took a $125,000 contribution from a northern California land developer. A short time later, Klein lobbied on behalf of a land deal backed by that developer. Part of that deal called for Klein to head a new nonprofit stem cell research organization that would be created as a result. Early on in CIRM's life, he refused to testify before a state Senate committee into the implementation of Prop. 71. Later, he organized an Internet campaign against a state senator who was seeking higher office. He called her an "ongoing threat" to stem cell research, although she had been the chief legislative advocate for stem cell research for years. The Bee (see item below) called for changes in the Oversight Committee. But Klein's crafting of Prop. 71 has made it virtually impossible to make even the best-intentioned changes at CIRM. The measure requires a super, super majority vote of the legislature and the signature of the governor to enact the tiniest alterations in CIRM's structure. The only practical answer to the concerns about the conflicts – embodied vividly in the actions by Reed and Klein – is for CIRM to open up its operations. Publicly disclose the names of institutions seeking grants, publicly disclose the financial interests of scientific reviewers who make de facto decisions on grants. Even more openness would desirable, but these are relatively easy steps at this point. On Sunday The Bee called for Klein and Reed to resign. While acknowledging Klein's contributions to CIRM, Simpson says, "Now, particularly given his propensity to treat it like his own fiefdom, it's time for him to move on." Last December, Klein indicated he would be leaving his post in 2008. That currently looks unlikely. The reason? His proposal for a biotech loan program as large as $750 million remains far from fruition. Reed vs. Klein: "The Bigger Problem"
A writer who prefers to be anonymous pointed out, regarding the item below, that The Bee also called for the resignation of John Reed from the CIRM Oversight Committee. Point well taken. The Bee also observed that Klein is "the bigger problem." The Sacramento Bee said today that Robert Klein should step down as chairman of the $3 billion California stem cell agency, the largest source of funding for human embryonic stem cell research in the world. The Bee's editorial came in the wake of disclosure that Klein(see photo), who is an attorney, advised John Reed, a member of the agency's board of directors and head of the Burnham Institute, to privately lobby CIRM staff for a grant for his institution in violation of the agency's conflict of interest policy. "More than anyone, Klein should have known that Reed's inquiries and letter were inappropriate and would put him in a precarious legal situation." "Klein, as we've said for some time, needs to step down. His divided loyalties, his disregard for public processes and his imperious nature have driven off institute staff and created a bunker mentality at what should be a world-class scientific institute. "Beyond that, the Legislature needs to reorganize the oversight board, making it smaller and less rife with conflicts. Although stem cell research still garners wide support, taxpayers want assurance their $3 billion will be spent based on the merits of projects, not behind-the-scenes lobbying." At least two members of the agency's board, which is called the Oversight Commmittee, have expressed public concern about the Reed's action. More are certainly to be concerned as well. A consumer watchdog group, the Foundation for Taxpayer and Consumer Rights, has filed a complaint with state officials concerning the Reed matter, which could lead to fines of both men. Two directors of the California stem cell agency have expressed concern about an allegedly illegal attempt by a fellow director to influence a $638,000 grant to his own research institution. Their comments were contained in today's coverage of the attempt by John Reed, which was first reported on this web site on Wednesday. The item generated stories today in San Francisco Chronicle, San Diego Union-Tribune and The Sacramento Bee, San Jose Mercury News and on a blog Wednesday for Nature magazine. "We need to resolve this before questions are raised about the integrity of our processes." Russell also reported that David Serrano Sewell, a San Francisco deputy city attorney and member of the Oversight Committee, was "upset" by Reed's action but stopped short of calling for his resignation. "Patient advocates understand the rules. I just wish John hadn't done what he did," Sewell said. Some of the members of the 29-person Oversight Committee are appointed to what are known as "patient advocate" positions. John M. Simpson, stem cell project director of the Foundation for Taxpayer and Consumer Rights, previously had called for Reed's resignation. The Chronicle reported that Simpson is also now calling for the departure of Robert Klein, chairman of CIRM. It was Klein, an attorney, who advised Reed to write the letter in violation of CIRM's conflict of interest policy. Today's news stories also carried the first comments from Reed and Klein. Both declined to respond initially to inquiries from this writer. "It did not occur to me that conflict rules would prevent me from contacting staff to provide what I believed to be relevant information." "Our firewall worked. The influence didn't change anyone's mind, because the letter wasn't even considered." "Staff has considered the substance of the letter, and appreciates the time and thought that went into it..."
Simpson has filed a complaint with the state Fair Political Practices Commission concerning Reed's action. Terri Somers of the San Diego Union-Tribune said the commission could fine Reed or Klein up to $5,000.Reed's action. Terri Somers of the San Diego Union-Tribune said the commission could fine Reed or Klein up to $5,000. Here is a link to the complete text of the John Reed letter mentioned in the item below. It has been posted by John M. Simpson of the Foundation for Taxpayer and Consumer Rights. We were unable to post the material on the California Stem Cell Report because of technical difficulties here in Mexico. In an apparent violation of a state conflict of interest policy, an influential director of the California stem cell agency earlier this year attempted to overturn a decision by the agency's staff that ultimately resulted in the loss of a $638,000 grant to his research institution. John Reed, president of the Burnham Institute of La Jolla, Ca., on Aug. 2 wrote a 6 ½ page letter to the agency staff, warning that denial of the grant would set a "dangerous precedent" that would impair the mission of the California Institute for Regenerative Medicine (CIRM). The letter came about as the result of a suggestion by chairman of the institute, Robert Klein. The California Stem Cell Report (CSCR) obtained a copy of the letter from Reed (see photo) from CIRM after filing a request under the state's public records act for documents relating to the Burnham grant. "Dr. Reed called the chairman to ask how to deal with what Burnham saw as technical mistakes in CIRM’s interpretation of the application. The chairman, not knowing enough about the technical details or whether mistakes had been made, suggested that Dr. Reed write a letter to the science team, which was knowledgeable about the issues." "After CIRM received the letter, Dr. Reed was informed that he must refrain from participating in any way in CIRM's consideration of the Burnham grant." 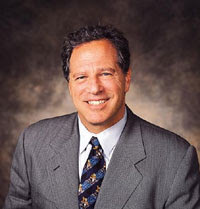 John M. Simpson, stem cell project director for the Foundation for Taxpayer and Consumer Rights of Santa Monica, Ca., called for Reed's resignation, declaring that he would file a formal complaint with the state Fair Political Practices Commission, which deals with conflict-of-interest violations. Simpson, a longtime observer and participant in CIRM proceedings,said, "The law is clear....John Reed flouted the law." He continued, "When you hand out millions of dollars in public money, you have to play by the rules." Asked whether CIRM contemplated any action regarding Reed, Murphy replied, "Dr. Reed now fully understands the conflict rules. CIRM does not intend to take any further action regarding this matter." Klein did not respond to an email asking about his role in the Reed letter. Reed also did not respond to questions emailed to him. Reed presides over a nonprofit research institution that has received $17 million in CIRM grants and that has an annual budget of $87 million. According to Burnham's web site, it has 750 employees and ranks 5th in the nation in NIH funding among private research institutions. "Members of the ICOC shall not make, participate in making, or in any way attempt to use their official position to influence a decision regarding a grant, loan, or contract with their employer. "Members of the ICOC shall not make, participate in making or in any way attempt to use their official position to influence a decision regarding a grant, loan, or contract that financially benefits the member or the entity he or she represents." The application for the grant in question came from David Smotrich, an adjunct professor at Burnham and founder of the La Jolla IVF clinic. The grant was highly rated by scientific reviewers, who examined it behind closed doors and made the initial decision to fund it. Their findings then went to the Oversight Committee for final action last February during a public meeting. The application was considered at that time under the board's normal procedures. The names of the applicant and institution were withheld from the public and the Oversight Committee. Reed was barred from voting and taking part in the discussion, but that fact was not known to the public at the time. Following Oversight Committee approval, the Smotrich application and all other approved grants were scrutinized administratively to assure that they complied with terms for the grants. CIRM staffers did not question the science or the credentials of the researcher. But they indicated as early as Feb. 24, according to CIRM documents, that there were problems with the eligibility of Smotrich. The issues involved whether he was a fulltime faculty member at Burnham, was located on the Burnham site and whether he had his own dedicated lab at Burnham. The exchange between CIRM and Burnham about Smotrich went on for seven months. The letter from Reed came just as CIRM staff was planning to announce the grant denial at the Oversight Committee meeting early in August. He said in his "appeal" letter to Arlene Chiu, then the top scientist at CIRM, that Smotrich "rightfully deserves" the grant. He devoted the bulk of his letter to Smotrich's credentials and his research, which included an "embryo rescue program" that would salvage leftover embryos from IVF that would otherwise be discarded. "I also wish to emphasize the potentially damaging consequences that a decision not to recognize Dr. Smotrich's legitimacy as a faculty member may have on clinician investigations, as it will surely discourage clinical researchers from participating in the CIRM mission to advance stem cell therapies. Finally, the particular grant recommended for funding is of great strategic importance to the entire CIRM effort, and therefore we urge CIRM staff to take this into consideration." "This is a unique resource not found anywhere else in the entire state and the only source currently available in California for deriving new hESC lines with the goal to share these freely with the entire CIRM research community to advance the fundamental goals of CIRM. Thus, to abandon the grant on perceived technical grounds flies in the face of the mission of CIRM." Reed added that denial of the grant "sets a dangerous precedent that adversely affects all clinician-scientists, most of whom will have a significant component of their time devoted to clinical activity and whom will often by supported by non-academic sources." On Aug. 27, Tamar Pachter, CIRM general counsel, wrote Burnham concerning Reed's Aug. 2 letter. She said his request to appeal the staff decision was rejected because no right of appeal existed for administrative findings. She said the decision did not involve the merits of the research or Smotrich's credentials. "To be fair to all the applicants (as well as potential applicants who self-selected out of the applications process because they could not meet the eligibility requirements of the RFA), and to carry out its duties as a state agency with integrity, CIRM must consistently enforce eligibility requirements." Burnham was offered an opportunity to withdraw the application but refused to do so. The decision not to fund the grant was announced late in the day in the waning minutes of the October meeting of the Oversight Committee, a move controlled by Klein in his role as chairman. Carlson had submitted the draft release to Murphy for approval. Its next to last sentence said that the grant to Burnham had been denied. In an email exchange on the evening of Oct. 3 (the day of the Oversight meeting), Murphy said he did not want to mention the Burnham grant. "Putting out a release in the morning that fails to note these items in light of the press coverage they'll be receiving, would seem like we're being protective and/or inexplicably secretive. Better to include the news at the bottom of the release. It shows we think the items that appear first are more important, but these are at least worth noting." "From CIRM's point of view, you're right. It makes us look meticulous, as we are. But I hate to build our reputation for quality on the carcass of another institution, which no doubt will be embarrassed by the coverage. John Reed will be under fire from his board and donors for allowing this to happen, and we don't want to pile on. Let Burnham handle it anyway they want, but I don't think we suffer by remaining silent. If it hits the fan, I'll take the rap by saying truthfully that it was a technical decision, the science was great, but rules are rules. We did what we had to, and we look forward to their resubmission. "Thanks for caring so much, but there's a balance on this one, and I think we serve the community kland CIRM best by minimizing the issue and remaining silent." Here are the questions that the California Stem Cell Report submitted to Richard Murphy, interim president of CIRM, concerning the Aug. 2 letter by John Reed, president of the Burnham Institute and a member of the CIRM Oversight Committee, and Murphy's verbatim response. CSCR: Have Oversight Committee members been told that they cannot intervene for or against applicants either before or after ICOC action on applications? Murphy: "Yes. Members of the ICOC are required to take the Attorney General's on-line ethics course, which includes information regarding the prohibition against participating in a decision in which a person has a financial interest. In addition, the Attorney General's Office made an ethics presentation to the Board in 2005 and CIRM's outside counsel made an ethics presentation to the Board in April 2007." CSCR: Have any other directors besides Reed intervened? CSCR: Was Reed at any time told, either verbally or in writing or any other way, that his letter was inappropriate or improper or may have violated conflict of interest laws. Murphy: "After CIRM received the letter, Dr. Reed was informed that he must refrain from participating in any way in CIRM's consideration of the Burnham grant. In addition, CIRM staff did not consider the letter in conducting their administrative review of the Burnham grant." CSCR: Did the ICOC or any committee of the ICOC discuss Reed's action or letter at any point? Murphy: "Neither the ICOC nor any of its subcommittees received or discussed Dr. Reed's letter." CSCR: Did any CIRM staff or member of the Oversight Committee or the chairman suggest to Reed that he should write his Aug. 2 letter concerning the Smotrich grant? Murphy: "Dr. Reed called the Chairman(Robert Klein) to ask how to deal with what Burnham saw as technical mistakes in CIRM’s interpretation of the application. The Chairman, not knowing enough about the technical details or whether mistakes had been made, suggested that Dr. Reed write a letter to the science team, which was knowledgeable about the issues." CSCR: Does CIRM or the ICOC contemplate any refresher sessions on ethics or conflict of interest for ICOC members? Have such briefings already occurred in 2007? Murphy: "Yes, in addition to the Attorney General's on-line course, which members are required to take every two years, the Board has received two oral briefings on conflict of interest issues, including in April 2007. The Board will continue to receive periodic ethics training to ensure that members are familiar with the rules." CSCR: Burnham was told that the denial of the grant would be announced at the ICOC meeting in August. Why did that not happen? Murphy: "CIRM did not announce in August because Burnham had appealed the determination, and that issue was not resolved before the ICOC meeting in August." you put Burnham's interests ahead of CIRM's. Isn't the integrity of CIRM more important than Burnham's or Reed's reputations? Murphy: "CIRM's action in rejecting the Burnham grant speaks for itself. CIRM staff conducted themselves with the highest degree of professionalism and integrity and informed the Board of their decision at a public meeting in San Diego. Given the public discussion of this issue, I saw no need to include it in a press release following the meeting. My decision was indeed made to be supportive of Burnham, but it in no way compromised CIRM’s integrity or interests." CSCR: I can only find a link to ICOC conflict of interest policies on the CIRM web site. Were the policies codified into regulations and officially issued as such? Murphy: "As required by the Political Reform Act, the ICOC adopted a conflict of interest code that applies to members and CIRM staff. In addition, the ICOC voluntarily adopted a conflict of interest policy for its members that goes beyond the requirements of state law. Unlike the conflict of interest code, the policy was not codified into regulations." Murphy: Does CIRM or the Oversight Committee contemplate any action in connection with Reed's letter? Murphy: "It is important to remember that Dr. Reed sent his letter after the ICOC had approved the grant, which received the second highest score from a group of out-of-state scientists on the Grants Working Group. At the time, Dr. Reed mistakenly believed that conflict rules would not prevent him from providing technical information regarding the status of a faculty member to CIRM staff. As soon as CIRM staff received the letter, counsel advised Dr. Reed that he must refrain from contacting the staff and board members regarding a grant to the Burnham and advised staff to disregard Dr. Reed's letter. It therefore had no effect on CIRM's process, and Dr. Reed now fully understands the conflict rules. CIRM does not intend to take any further action regarding this matter." CSCR: If there is other material that you think would help provide insight into this matter, please send it along as well. The Citizens Financial Accountability Oversight Committee may be one of the more obscure entities in state government. It has only been around for three years. It has only met once. And it already has had a 66.6 per cent turnover in membership. The group will meet again next Tuesday in San Francisco to consider the doings of the $3 billion California stem cell agency. And it will have plenty to chew on – everything from intellectual property to a 101-page analysis of CIRM by the Bureau of State Audits. But few surprises are expected. 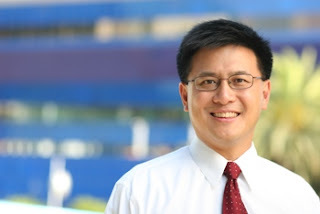 This is a friendly group, created by Proposition 71 and chaired by state Controller John Chiang(see photo), who once brought one of his children to a meeting of the CIRM Oversight Committee in Los Angeles. However, the committee is charged with reviewing CIRM's financial practices and performance, which gives it plenty of leeway to make constructive criticism. Perhaps even recommending public disclosure of the economic interests of grant reviewers who conduct their activities behind closed doors, or at least seeking an opinion from the state attorney general on disclosure, as suggested by the state auditor. Or the committee could recommend disclosure of the names of the universities and nonprofit research institutions that are seeking $227 million in taxpayer funds to build stem cell labs – names which CIRM has refused to reveal on the grounds that they might be embarrassed. The group apparently has two new members, Gurbinder Sadana and Loren Lipson. Sadana is a private physician in Pomona, Ca., and serves on the board of directors of the Pomona Valley Hospital. Lipson was recently appointed, and no information was available concerning him/her on the state controller's web site. One of the new appointees replaces John Hein, who was a lobbyist for the California Teachers Association. The Foundation for Taxpayer and Consumer Rights challenged his appointment as illegal because he did not meet the legal qualifications. Also off the board is Richard Siegal, who runs his own oil exploration company and has given widely to health care issues. No reasons for their departure were available on the controller's web site. Chiang is also new to the board. The other members of the committee are Daniel Brunner, a retired attorney from the Sacramento area who co-founded Affordable Health Care Concepts in Sacramento; Jim Lott, executive vice president of the Hospital Association of Southern California, and Myrtle Potter, a former vice president of Genentech who now is involved in commercial and residential real estate development. Potter was named as woman of the year in 2006 by the American Diabetes Association and serves on the board of directors of Amazon.com. One of items on the agenda is a proposal for a conflict of interest code, which was not available on the controller's web site at the time of this writing. Here is the text of the statement from Monash University concerning the stem cell research investigation that was linked to Alan Trounson, incoming president of the California stem cell agency. The statement was provided by Jeff Sheehy, a member of the agency's Oversight Committee. 1.On 28 February 2007 the Project Agreement for ASCC Respiratory Project P028 lapsed and was not extended. Monash and the ASCC agreed to allow funding for the Project to lapse. 2.The component of the Project with results which were questioned was the “COPD Extension Research Project” funded by the ASCC from March 1, 2006 to February 28, 2007. 3.The central hypothesis of the Project was that smoking induced lung damage can be reversed or improved by the infusion of mesenchymal stem cells. The potential misrepresentation of results and failure to inform the ASCC of specific data arising from the project. 5.Following its independent enquiries, the University established a Preliminary Investigation Committee in April 2007 in order to investigate the concerns raised by the ASCC in accordance with University policies for dealing with matters of possible research misconduct. These policies are based on and compliant with The Australian Code for the Responsible Conduct of Research issues by the NH&MRC, ARC and Universities Australia. 6.The Preliminary Investigation Committee has recently reported its findings of fact to me in a confidential report. I have accepted those findings and have determined (based on the Committee’s findings) that research misconduct by the senior research fellow responsible for the conduct of the Project in Professor Trounson’s laboratory had occurred and that there were mitigating circumstances. negligently failing to report results in a timely fashion to the ASCC (including results that might have been regarded as counter-hypothesis). The Committee made no finding that the negligent conduct was fraudulent or designed to deceive. The senior research fellow has admitted that his recording of data was negligent but indicated that in many cases the primary data for many of the experiments were recorded in other laboratories since many assays were “outsourced”. 8.The Committee also found that there were mitigating circumstances in that the senior research fellow, who had been delegated responsibility by the Project Leader, was inexperienced in managing a research project of the type and size of the Project and managing the number of researchers and students he had to supervise. (d)instigate a review of University procedures relating to the conduct and supervision of research and ensure appropriate steps are taken to prevent a recurrence of the events that occurred in relation to the Project. It should be noted that it was considered that the senior research fellow has accepted that the negligence and carelessness exhibited are unacceptable and has shown remorse for his conduct. 11.No material from the Project has been published, or used to obtain further grant funding, the Research Project has lapsed. 12.On the basis of the above, the matter is now concluded. 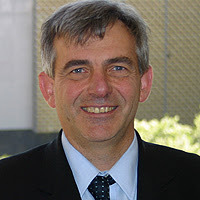 Monash University has apparently reached a conclusion in its investigation into $1 million stem cell research project headed by Alan Trounson, the incoming president of the California stem cell agency. Trounson was not under investigation, although a researcher who worked under him was. "A Monash University investigation into an abandoned million-dollar stem cell research project, headed by world renowned Melbourne scientist Alan Trounson, has found data and reports were handled negligently. "The investigation committee made no finding that the negligent conduct by an unnamed research fellow working under Professor Trounson was fraudulent or designed to deceive." "In a statement on Friday, Monash Vice-Chancellor Professor Richard Larkins said there were mitigating circumstances leading to the negligence by the senior research fellow. "The review found that the senior research team member was inexperienced in managing a project of the type and size undertaken and inexperienced in supervising the number of researchers and students he had in his charge. "It said his work included negligent recording of research data, negligent inaccurate preparation of reports and presentations of research results to the ASCC, and negligently failing to report results in a timely fashion." "In a statement issued this afternoon by Vice-Chancellor Richard Larkins, a committee investigating the matter found "that the senior research fellow engaged in conduct that was negligent and seriously deviated from accepted standards within the scientific and scholarly community for conducting and reporting research". John M. Simpson, stem cell project director for the Foundation for Taxpaper and Consumer Rights, had this comment. "I've not yet read the investigators' report; only Australian news accounts. "It appears that while Alan Trounson was not implicated in any wrongdoing, the research abuse happened on his watch, done by someone he had hired. "The incident demonstrates once again the need for strict oversight and adherence to guidelines when public money finances research. Complete openness and transparency are the guarantor of good practices. The California scientist behind the challenge to the WARF stem cell patents says scientists have an obligation to be sure that research "can benefit the society that supports it." Jeanne Loring, director of the Center for Regenerative Medicine at the Scripps Research Institute, made the remark in a recent piece on "Nature Reports: Stem Cells." Loring wrote about the history behind the challenge to the patents and her motivation. The piece also carries remarks from WARF. "I do not get paid for our work on this challenge. I did not set out to become an expert in patent law, and it is still very much outside my comfort zone. I'd rather be spending my time learning more about the molecular interactions that make human ES cells pluripotent. But the spirit of scientific inquiry often requires us to venture beyond our areas of expertise, and I think that scientists have an obligation not only to perform research but to make sure that our research can benefit the society that supports it." The next proceeding in the Flamm-Cha libel lawsuit will be Nov. 20 in Los Angeles Superior Court. The case involves Bruce Flamm, a Riverside, Ca., physician and stem cell researcher Kwang Yul Cha. The latest addition to the board of directors of the $3 billion California stem cell agency is former television talk show hostess, Leeza Gibbons. California Gov. Arnold Schwarzenegger Wednesday announced the appointment of Gibbons(shown in photo). She fills the post formerly held by scientist Leon Thal, who died in a plane crash last February. Gibbons fills a slot designated for a patient advocate for Alzheimers as the result of her nonprofit group, Leeza's Place, which is aimed at caregivers for persons with memory disorders. Gibbons' celebrity status attracted more news coverage than the usual appointments to the CIRM Oversight Committee, which are almost invisible in the media. She co-hosted "Entertainment Tonight" from 1994 to 2000. This year, she appeared on the "Dancing with Stars" TV show, part of the so-called reality genre. She appeared in at least one movie, "Last Action Hero(1993)," with Schwarzenegger. Gibbons may be the only member of the Oversight Committee with a personal web page and public blog, which can be found on her web site. However, she is not the only Hollywood figure to serve on the 29-member panel. Sherry Lansing, a former top film executive, has a seat on the board. Jonathan Shestack, a Hollywood producer, also is a member. Gibbons' efforts with memory disorders grew out of her own family's experience with her mother, according to her web page. "Developed in response to the challenges Leeza and her family encountered while seeking specific and needed support, Leeza's Place is a potent source of information, strength and purpose. Nestled within your own community, Leeza's Place is a multifaceted reprieve, for both caregivers and the recently diagnosed, that integrates educational programs, connective social activities, emotional support, and intergenerational programming designed to help you navigate through your community's continuum of care." The site also sells books and information on dementia, such as "Brain Longevity" by Dharma Singh Khalsa and "scrapbooking" software, which is aimed at preserving memories. Also offered are a "memories forever" bracelet and a "comfort and care" candle. The governor, whose motto is "action, action, action," left Thal's position vacant for nine months despite a provision in state law that requires Oversight Committee vacancies to be filled within 30 days. However, it is not uncommon in state government for such provisions to be ignored. The California stem cell agency's plan to hire a public relations firm for $300,000 is a case of misplaced priorities. It is quite clear that CIRM needs to move swiftly on its communications needs, particularly in light of the emphasis placed on public education by both its interim and incoming presidents. But first CIRM needs to find a permanent chief communications officer. Otherwise, the agency will be signing a major contract without consulting the person who will have responsibility for overseeing it. Premature selection of a PR firm, in fact, could hinder the hiring of a top-notch person, who might look askance at the choice or at the management that chooses to take such precipitous action. CIRM will be issuing the contract without what amounts to very necessary "peer review." And that is the kind of scrutiny that a skilled communications professional would give any prospective PR firm. Some also question the need for a PR firm, period. One is John M. Simpson, stem cell project director for the Foundation for Taxpayer and Consumer Rights, who argues for a minimalist approach. "People who hire PR firms are more interested in image than in substance. The way you get good media relations is simple: Do good work in an open way and answer all questions candidly. "CIRM needs a committed and knowledgeable communications officer and an assistant completely familiar with all CIRM and ICOC activities. With the current downsizing in the news business many such talented people are available." However, we do not believe that CIRM can fulfill its major communications responsibilities with two persons. CIRM is limited by law to no more than 50 employees; it now has about 26. Given the limit, a good communications firm would be necessary to execute the agency's ambitious public education plans outlined in the strategic plan. Without outside help, it would require a personnel commitment that probably is beyond CIRM. And the outside help should be picked under the direction of CIRM's own communications expert, which is what that person is hired to do..
CIRM has gone through two PR firms and two staff PR persons in its short history. The largest contract $378,000) went to Edelman PR and generated some dissatisfaction at CIRM, which is at least partial evidence that the agency needs expert help in picking a new firm. Regardless, any contract will generate negative attention. Reporters and editors in the mainstream media have a jaundiced view of highly paid PR firms. Too often they fail to serve either their masters or the media well. Here is what John M. Simpson, stem cell project director for the Foundation for Taxpayer and Consumer Rights, had to say about the CIRM's $300,000 plan to hire a public relations firm, perhaps before the beginning of the year. "CIRM needs a committed and knowledgeable communications officer and an assistant completely familiar with all CIRM and ICOC activities. With the current downsizing in the news business many such talented people are available. "In a rare case, perhaps for a specific large task, under the close direction and supervision of the CIRM communications officer, there might be a benefit from an outside consultant. "It's absolutely essential that the communications officer play the key role in hiring any communications consultants. Consider it peer review – the scientists should understand that concept. "CIRM should put a top priority on hiring a communications officer." "Instead, what the RFP calls for won't facilitate communication with the media. It will hinder it and irritate the working press. "CIRM will end up wasting $300,000 of taxpayer money and the ICOC will be wondering why they are unhappy with the news coverage they get." The Sacramento Bee this morning carried an evaluation of the performance of the California stem cell agency, which is three years old this month. "By many measures, the institute is a huge success. Its impact stretches well beyond state boundaries and has stimulated the growth of similar research efforts in six other states and excitement in even more. The agency has established what are widely regarded as the toughest research and ethical standards for embryonic stem cell research in the nation. It has pioneered development of revenue sharing requirements that will come into play if successful medical therapies are created. "But by other standards, including its own strategic plan, the institute doesn't measure up. The money is not flowing as fast as called for. Rosy campaign promises of cures and an economic boom still await fulfillment. Built-in conflicts of interests pervade the institute's activities. A penchant for closed-door grant reviews and secrecy screens much of the institute's most important decisions from public view. And, more than once, calls have arisen for the resignation of its chairman, Robert Klein, a man who triggers both admiration and animosity." Given the space constraints of print media, condensation required the omission of much more that could be said, both pro and con. To provide a more comprehensive picture, we are carrying below a statement by California stem cell chairman Robert Klein and comments from CIRM's chief communications officer, Dale Carlson, prior to his departure from the agency. As part of the reporting for the Nov. 11 article in The Bee, we asked Robert Klein, chairman of the California Institute for Regenerative Medicine, for a statement on the accomplishments and challenges facing the agency. Here is the text of what he provided. "For families suffering from chronic disease or injury, Proposition 71 has brought hope; for medical scientists who have dedicated their lives to reducing human suffering, it has been an inspiration; and for patient organizations, it has created a model for a paradigm change in the structure, scope and term of medical research funding in America. To date, approximately $210 million in grants have been approved by the governing board after a competitive, scientific peer review process, and another $300 million is in process. All elements of the court system in California, including the Supreme Court, have exhaustively reviewed this grant making system, the medical and ethical standards, the conflicts policies and the constitutional authority of the governing board and the agency and the Supreme Court has found all of the initiative’s aspects to be constitutional and operated through the agency and the board in a manner completely consistent with the statutory intent and all state laws. "California has become the largest funding agency in the world for embryonic stem cell research, creating history in funding medical research, as the intellectual health care capital of the society, with long-term state bonds. The great universities, research hospitals, and research institutions of California have recruited world class scientists and clinicians to lead and inspire the medical research programs of California. At the funding agency itself, Dr. Richard Murphy, the former President of the Salk Institute, is building an extraordinary scientific organization and Dr. Alan Trounson, a global leader in stem cell research, will assume the Presidency by the end of this year. "Globally, California’s performance under Proposition 71 has earned the state agency a world class leadership position, with California serving as a member of the International Stem Cell Forum on an equal membership standing with 19 member nations. Within the United States, California’s grant approvals in 2007 alone are approximately seven times the funding by the National Institutes of Health for embryonic stem cell research. California’s medical and ethical research standards, drawn up in collaboration with the National Academy of Sciences, have become an international model and the new “gold standard” for our nation, with the state of Illinois adopting them in their entirety just four months ago. "Proposition 71, its governing board, and the funding agency created by Prop 71 face a number of immediate challenges as the momentum of stem cell medical research funding increases. "First, its preliminary strategic plan must be examined and strengthened as the new President of the agency, Dr. Alan Trounson, brings global scientific credentials and insights to broaden the strategic path while closing research gaps in the plan like immunology, which is so critical to implementing stem cell replacement therapies for Parkinson’s, HIV/AIDS, diabetes and heart disease. As another example, strategic initiatives in immunology might broaden the feasible applications of existing adult stem cell therapies, by utilizing embryonic stem cells as a source of immune tolerance cell transplants. Adult stem cell therapies have raised survival rates for patients with leukemia or multiple myeloma (a bone cancer) from six percent to the 70% plus range; but, these therapies currently only reach the 40% of patient candidates for whom a sufficient immune system match can be found. By strategically focusing on immunology challenges to expand the reach of adult stem cell therapies, more lives may be saved when scientific breakthroughs in immunology are combined with the immune tolerance of embryonic stem cells and/or the possibility of immune system matches through SCNT (immune matched stem cells) breakthroughs. "Second, stretching the resources approved by the voters - to fund more grants (over time) – by creating a revolving loan fund (to compliment the grant program) could have a dramatic impact on the range of therapeutic advances the agency can fund. The board has just begun phase two of the financial plan by studying how to implement the loan provisions of the initiative. A basic model of revolving seven year loans, as a substitute for some grants when dealing with the private sector, will be investigated over the next year. Potentially, a loan program could recycle over $1.5 billion – in the first 15-17 years of the agency’s life – bringing the total effective resources to fund medical research up to $4.5 billion. "Third, the board and the agency need to launch a major public information program, including a specific focus on the upcoming human embryonic stem cell clinical trials. These clinical trials, over time, bring the possibility of remarkable medical advancement, but they also bring the potential for initial tragedies, despite the best safety procedures. Even with the benefit of extensive animal, pre-clinical trials, setbacks may occur – particularly given the broad spectrum of therapies and chronic disease challenges. The patients will have independent medical doctors advising them, along with family and friends; but, pre-clinical animal trials are not completely predictive of human outcomes. We must respect each patient’s decision to take “managed and reasonable” risks that may redeem their futures or save their lives. Medical therapies for the patients in the trials and all future generations are dependent upon the courage of individual patients, if medicine is to advance. With a deep reverence for life, we must inform the California public and every patient about these risks and build the patience and understanding that will be critical elements of medical research risk tolerance, if we are to secure the path to therapeutic success, which will involve many attempts and many 'trials.'" Earlier this year, we asked Dale Carlson, then CIRM's chief communications officer, for a perspective on the performance of the California stem cell agency. Here is the text of what he provided. "The early history of CIRM is remarkable on a number of points, particularly given constraints on our budget and staff imposed by the delay in issuing bonds. "The project is innovative from its inception: no one has ever funded scientific research with debt financing. Governments float bonds for public capital projects routinely – for roads, schools, prisons, libraries, water storage and transport, and other physical infrastructure needs – but never before for the development of intellectual capital until California voters approved Proposition 71. Similar bond programs are now proposed in New York, Texas, Massachusetts, and New Jersey, and have been considered by states in Australia. I don’t offer that as an example of something CIRM has ‘done right,’ but to establish as background the fact that everything we’ve done since is new, untried, and uncharted. "The CIRM Scientific Strategic Plan specifies clear objectives and funding initiatives for 10 years. The fact that we have a 10-year plan is remarkable. I know of no other government agency (or public company for that matter) that’s ever developed such a far-sighted blueprint for its activities. It sets specific goals and benchmarks so the public can measure our progress. It lays out a detailed course of action for the six months and three years following its adoption. It does not dwell on generalities, as is common in strategic plans for public agencies. We were lauded for being realistic in our goals and for the open, public process used to draft that document, including the scientific meeting held in 2005 to assess the state of stem cell research globally. "Our medical and ethical standards for research go beyond any in place or recommended by other scientific funding organizations. In at least one case, they’ve been adopted wholesale by another state. "Our intellectual property policy for non-profits and the for-profit policy currently in development go beyond those of other private and public funding agencies. Again, some believe our requirements go too far, some not far enough. And again, this is another instance where we’re largely working without benefit of a successful model in place at the federal or state level. "We’ve issued four RFAs, reviewed more than 350 applications, and brought recommendations to our governing board. In each instance, the time from RFA concept approval to grant approval has been far shorter than researchers have seen from other agencies. (Have I mentioned that we have limited staff for this work?) To date, 136 grants totaling more than $208 million have been awarded or approved at 23 institutions. "We commissioned the Institute of Medicine to hold a conference on the risks to women who donate oocytes, the first meeting ever held on this subject. "The Institute’s global leadership is well-recognized, even before awarding significant research funds. We forged strong relations with foreign countries and international organizations of stem cell researchers. We were the only state invited to join these organizations. The International Stem Cell Forum will hold its annual meeting next year in California, after considering offers to host the session from Israel and China. "Few have any experience organizing a new government agency from scratch, let alone one devoted to such a novel concept. We’ve struggled at times with the challenges and requirements that presents, and we’ve not always made the right decisions when first faced with a decision or dilemma. Where we’ve erred or fallen short, we’ve quickly changed course in favor of a better approach. The Bureau of State Audits report is a good example of that pattern. If the BSA found a problem in our policies or practices, we made no attempt to defend or justify our conduct. We simply said, “You’re right. We’ll fix it.” And we have, in most instances. "Some do not believe the Institute operates with sufficient regard for public participation or scrutiny, particularly where the review of grant applications is involved. Without revisiting the extensive discussions we’ve had with our critics on these points, it’s clear the CIRM is more open, solicitous, and responsive to the public than any other agency – private or public – engaged in research funding. The conflict of interest policy we follow for grant reviewers exceeds the requirements in place at NIH and elsewhere." The California stem cell agency has posted more information on its proposed procedures for the facilities group review of applications for $227 million in grants for construction of stem cell research labs. The California stem cell agency is going to take a whack Nov. 16 at how it proposes to run its program for research grants to busineses, ranging from ethics to allowable expenses to sharing of biomedical materials. Biotech businesses have plenty to chew on in the 47 pages of proposed policies that have been released in a nicely timely fashion. No excuses if they don't weigh in now. The peripatetic John M. Simpson is a man of many parts. As stem cell project director for the Foundation of Taxpayer and Consumer Rights of Santa Monica, Ca., he has followed the affairs of the California stem cell agency, a task that has kept him busy for more than two years. But on other occasions, his work for the foundation calls him to different venues. "The slides with the specifics for the meeting are in the process of being edited and should be available on the Web Friday." The California stem cell agency will deal once again next week with its plans for its largest round of grants ever, but exactly what is on the agenda is a virtual mystery. No matter. If you are looking for some cash to build labs, you better be at the Facilities Working Group session Nov. 15. The details are what counts here, and missing one could mean the loss of tens of millions of dollars. On the agenda is something listed only as "Consideration of Process and Procedures for Major Facilities Grants Review Meeting." We queried CIRM for more details. None were forthcoming. Perhaps they will be available in time for applicants and other interested parties to make plans to be in San Francisco. New Jersey voters on Tuesday sent a message to sanguine supporters of stem cell research in California: Do not assume that the public is always behind you. Analysis this morning of the election results is a bit preliminary but news reports are characterizing the rejection of the $450 million stem cell research measure as a surprise. And it is not good news for those in California who find reassurance in the 59 percent voter approval of Proposition 71 in 2004, the measure that created the state's $3 billion stem cell program. We have pointed out previously that stem cell research is not well understood by the public. Support for it is weak despite often rosy polls that seem to indicate it is a motherhood issue, at least in the eyes of some at CIRM. That is not the case, as shown in a poll by the Pew Forum for Religion and Public Life. According to that survey, support dropped from 57 percent nationally two years ago to 51 percent in August this year. It also showed that 55 percent of the public had heard little or nothing about stem cell research. The New Jersey vote signals that it is imperative for CIRM to move forward thoughtfully and effectively on its public education/PR plans and promptly fill the vacant position of chief communications officer. "Anonymous" posted a comment on our "communications void" item below that merits some attention. Here it is, and here is the link to the RFP that the comment mentions. Our thanks to "anonymous." "California's state-backed entity set up to distribute funds for stem cell research has issued a six-figure RFP for state, national and global public information and communications work. "The California Institute for Regenerative Medicine is backed by $3 billion in bonds and distributes funds via an independent citizens' oversight committee, which plans to dole out nearly $300M each year over the next decade. "The Institute has issued an RFP for a firm to handle its public information needs for the next year with a budget capped at $300K. The work includes a full media relations program, strategic counsel, outreach to patient advocacy and health organizations, and internal communications. "The CIRM wants a firm steeped in education and advocacy for scientific and medical research, public funding and related topics. "Proposals are due Nov. 30." A California physician, who also serves on the UC Irvine faculty, says a lawsuit against him by a Korean stem cell scientist is an attempt to "stamp out any critical scrutiny" of the researcher's credentials and techniques. The matter, which will hit a Los Angeles court room on Wednesday, pits Bruce Flamm against Kwang Yul Cha. Flamm works at Kaiser Permanente in Riverside, Ca. Cha, an internationally known scientist, heads a "a vast conglomerate of medical facilities in Korea and the United States," according to legal filings by Flamm. Last March the California stem cell agency awarded a $2.6 million grant to a nonprofit, Los Angeles subsidiary of the Cha organization. Directors of the agency approved the application without knowing the identity of the applicant, following a recommendation from another CIRM panel arrived at behind closed doors. Both procedures are standard for the agency. A flap arose when the media reported the applicant had links to Cha and reported the controversy surrounding the scientist. In September, the subsidiary withdrew its grant application. The Flamm-Cha story began with a 2001 article by Cha and two other persons that was published in the Journal of Reproductive Medicine. Flamm said it reported that "distant intercessory prayer can double the success rate" of IVF. The article generated international attention and comment, including some from Flamm. In August of this year, Cha filed a libel lawsuit against Flamm, saying that Flamm defamed him in a March 15, 2007, article in the Ob/Gyn News. In October Flamm filed what is known as an anti-SLAPP lawsuit against Cha. Flamm's suit is based on a California law aimed at preventing stifling of public discussion through the use of lawsuits. SLAPP is an abbreviation for "strategic lawsuit against public participation." Flamm is contending that his comments concerned matters of "significant public interest," are not prima facie defamatory and are protected by California's anti-SLAPP statute. Two groups challenging WARF's stem cell patents, an effort supported by the incoming president of the California stem cell agency, Alan Trounson, are rejecting the Wisconsin organization's latest attempt to beat back the move. The Foundation for Taxpayer and Consumer Rights and the Public Patent Foundation said WARF's latest filings do not merit overturning a preliminary ruling against the organization. The high priests of the newspaper business – otherwise known as editors and publishers -- have learned about the power of the Internet the hard way. Their business is turning remorselessly downward as advertisers shift their dollars to chase readers who have abandoned print. Now comes the turn of the high priests of scientific journals. And the forces at work are something that the California stem cell agency will have to confront as it deals increasingly with public access to publicly funded research findings and how quickly that access becomes available. Merrill Goozner, director of the Integrity in Science project for the Center for Science in the Public Interest, wrote recently that both houses of Congress have approved legislation that would provide free public access to all published articles from NIH-funded research. The measure was opposed by publishers who say that their ability to support independent peer review requires exclusive copyrights. Goozner cites an article in The Scientist that points out that there may be a link to profits, which in turn are linked to salaries, for example, at the American Chemical Society, which generates $500 million a year from its 36 journals. Several top executives at the society earn more than $750,000 a year. Any researcher working for a private company knows that he who pays the piper calls the tune. The fact is that taxpayers finance this research. At the heart, they own it just as much as a bank owns a mortgaged house or shareholders own a company.